Everything old is new again! 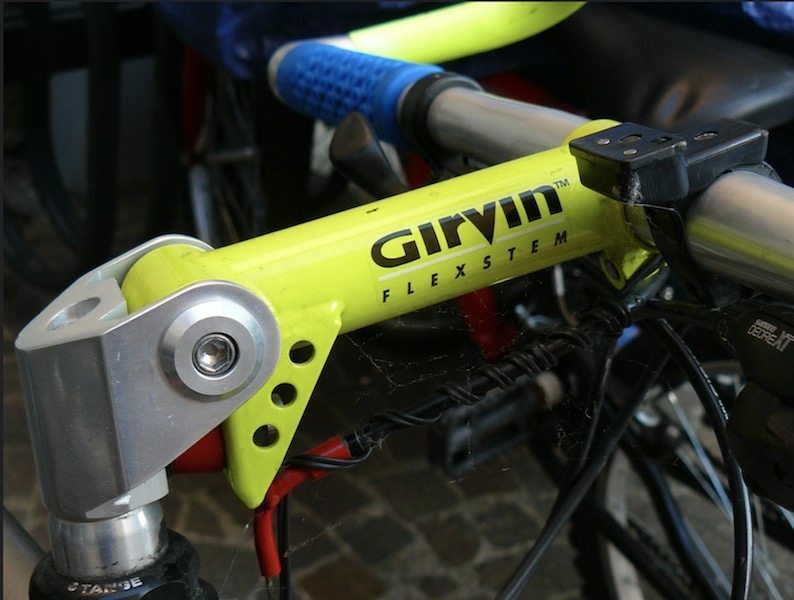 In the 90’s bike firms looked at the idea of making the ride on road bikes more compliant by added shock absorbers to the handlebar stems. But the tech was superseded by the compliance of carbon fibre. 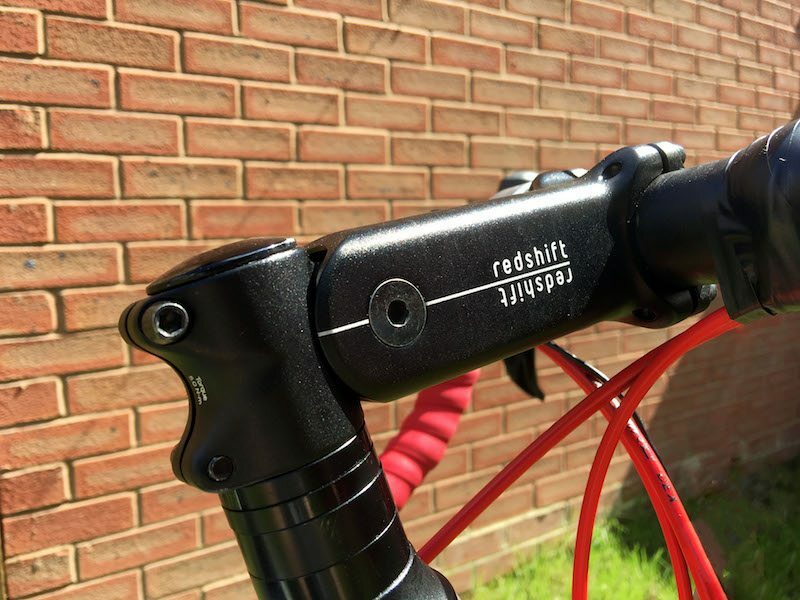 Now Redshift has taken another look at the concept, and do you know what? It works! 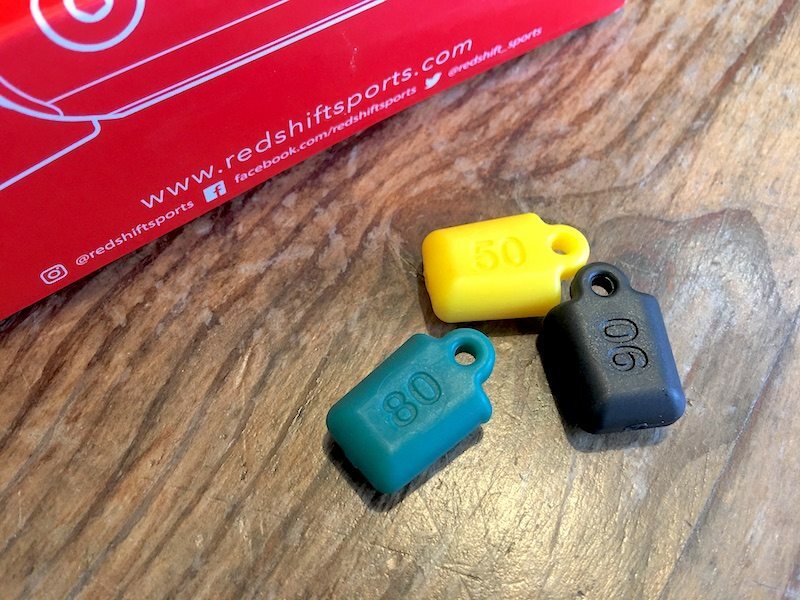 I tend to keep an eye out for various cycling related Kickstarter projects, and saw the RedShift ShockStop come up in 2016. 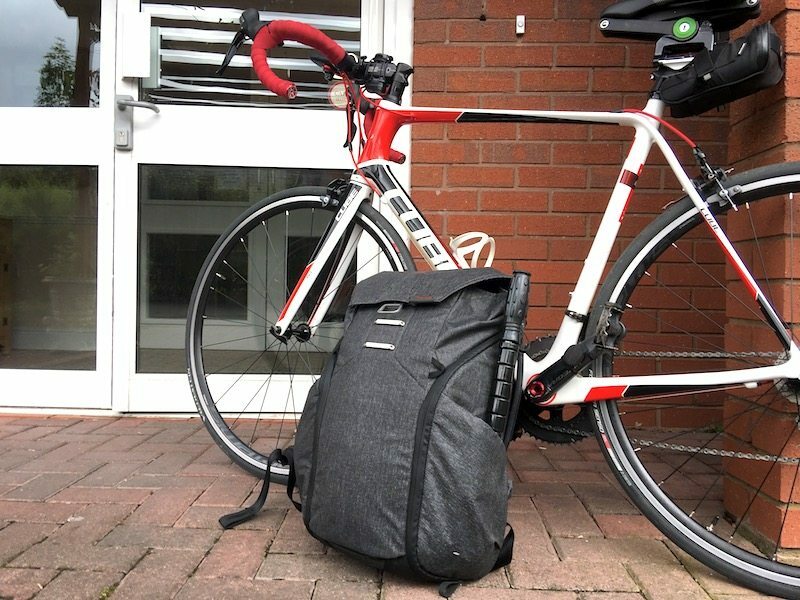 I was actually in the process of putting together a commuter bike, and given the less than smooth nature of some of the roads in the Midlands, I thought it might be worthwhile taking a look at, and potentially picking up a second unit for the road bike if things turned out to be effective. 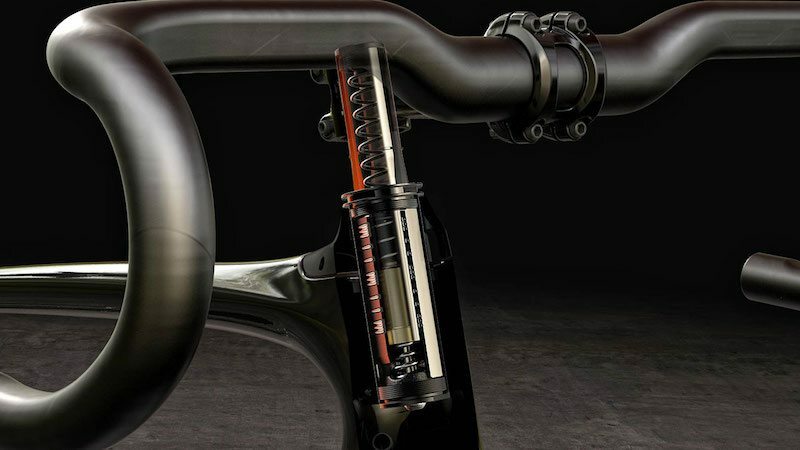 More recently, however, Specialized has also returned to the concept, but rather than going down to pivot route, have opted for a very fancy spring shock absorber within the steering tube for their Future Shock system. But you are only going to be able to get that on the Specialized Roubaix, and not as an aftermarket component either. 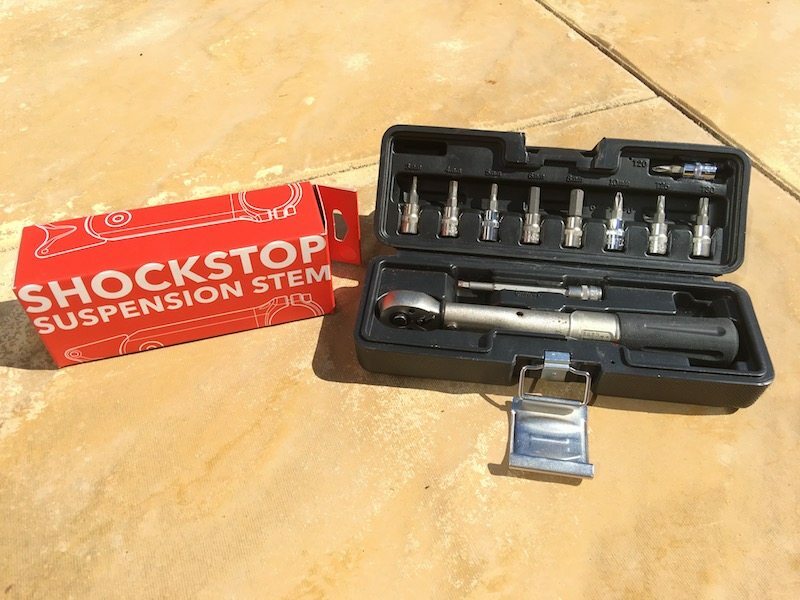 The ShockStop stem movement is made possible by a bearing hinge. However, the “spring”, or more technically damper, part of the stem is made possible through the use of a series of elastomers working to reduce vibrations and impacts. 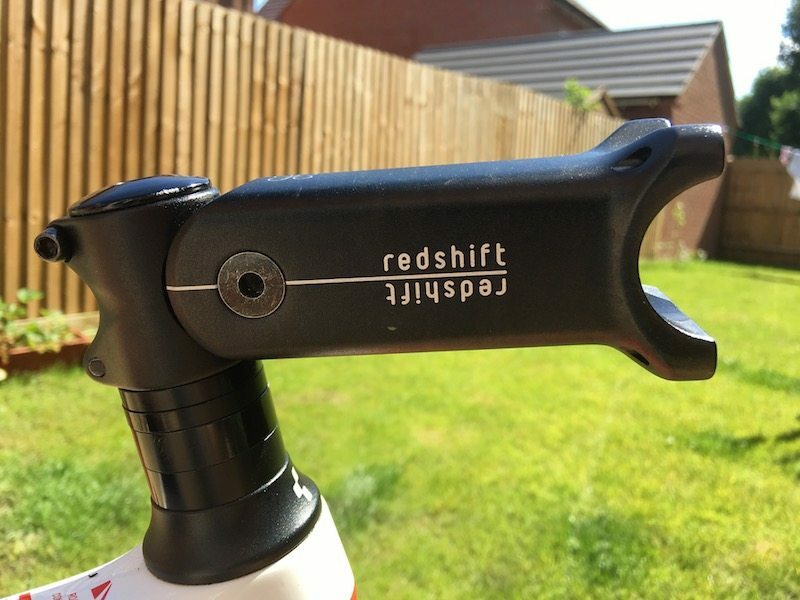 Taking approach a little further, there is no carbon fibre option (yet), so with the T6 aluminium, you are paying a weight penalty for that comfort of 264g for the ShockStop for the 90mm stem (which increased from the original Kickstarter expectation of 238g. So for someone who thinks first and last about speed and lightness, this perhaps isn’t the product for you. However, as a commuter product, or off road bike component, it’s great! 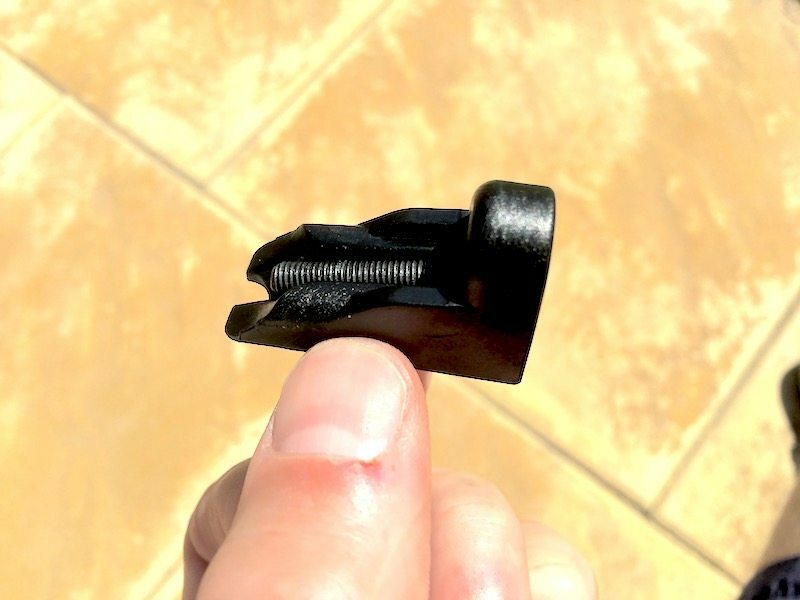 The elastomers really are the key to the function of the ShockStop, as a pivot or a spring alone isn’t enough. Very much in the same way as car suspension works, the movement allows the car wheel to travel over the bumps, but it is the dampers, in this case, the elastomers, which works smooth out those bumps and reduce the rebound movement too. 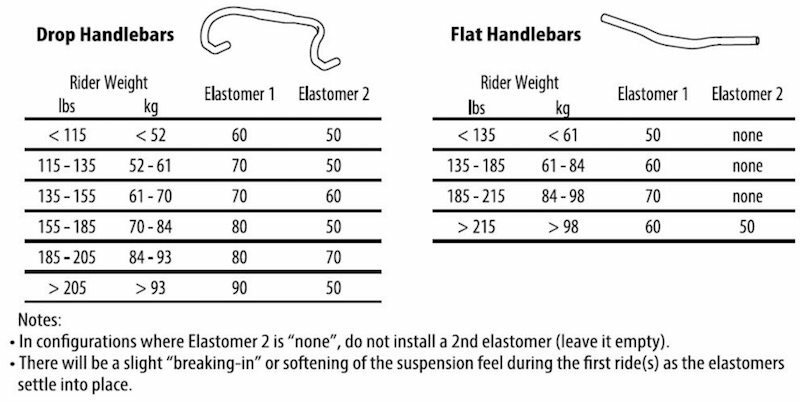 Up to 20mm on a drop-bar road bike. 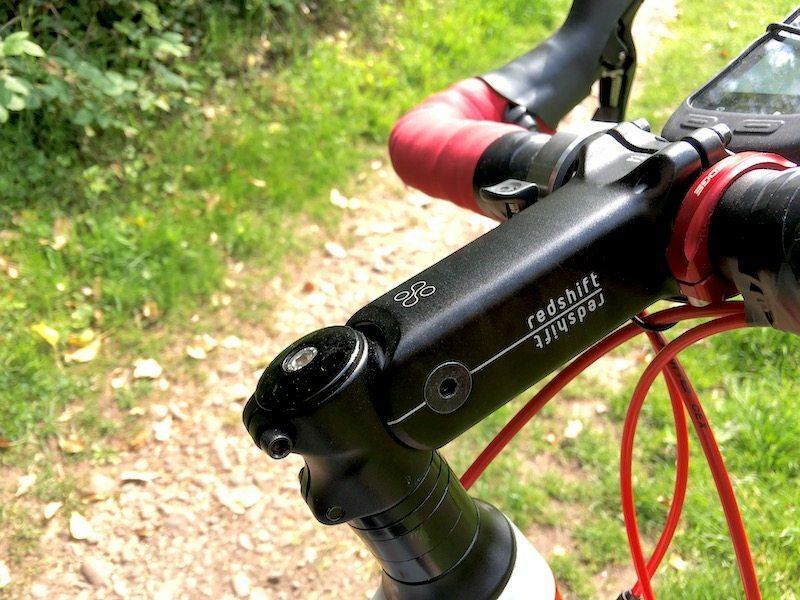 Up to 10mm on a flat-bar road bike. 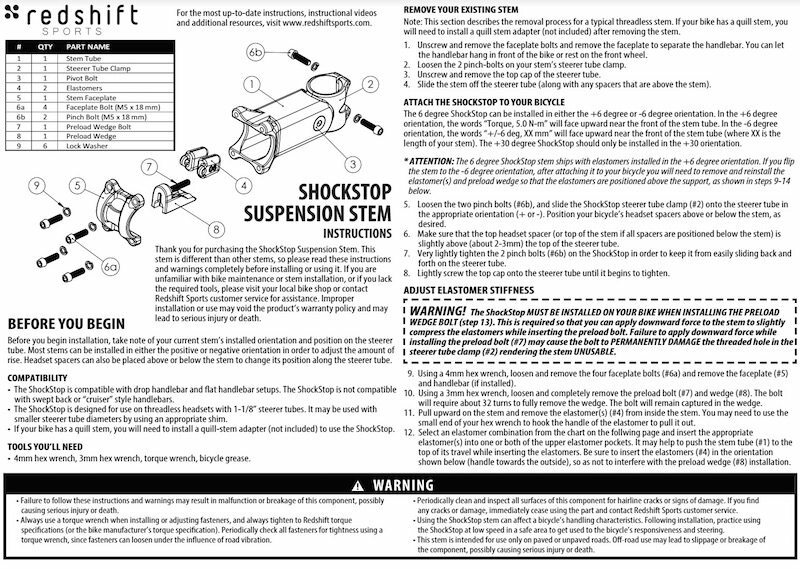 Reading the manual, in this case, is particularly when it comes to installation – not that the ShockStop is hard to install, but the series of warnings about the potential for significant damage to the mechanism if you over tighten or overturn the bolts should be headed! 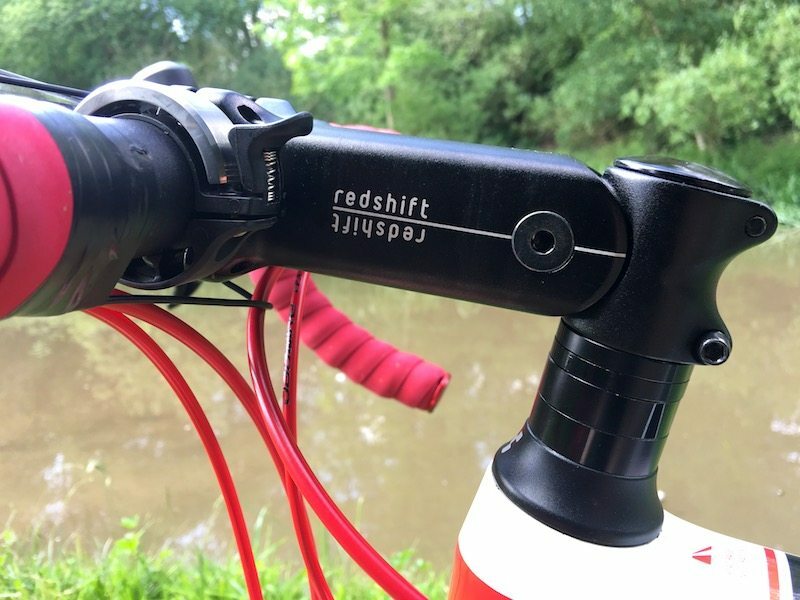 I tried to produce a little video of the ShockStop in action, but frankly, RedShifts own gif demonstrates very effectively how the ShockStop functions when being ridden. One thing to note from this video, in reality, you are unlikely to have the system set to move so significantly. I did try it out, at this level of movement, but I found I was actually bobbing around more than I was before. 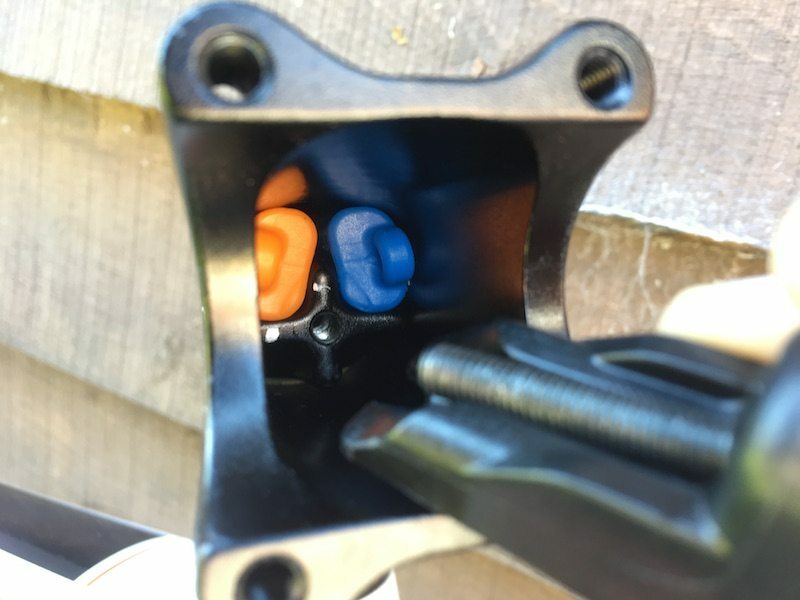 Swapping back to a pair of the denser elastomers produced much less movement from the stem – as you can see above, I’ve opted for the blue and orange wedges, providing me with a great ride, and without that excess movement seen above. But how do things feel out on the road? 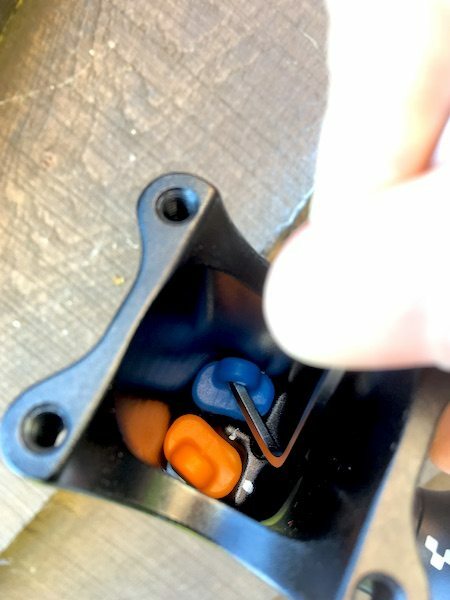 I’ve been using the ShockStop for many months now while commuting to work. 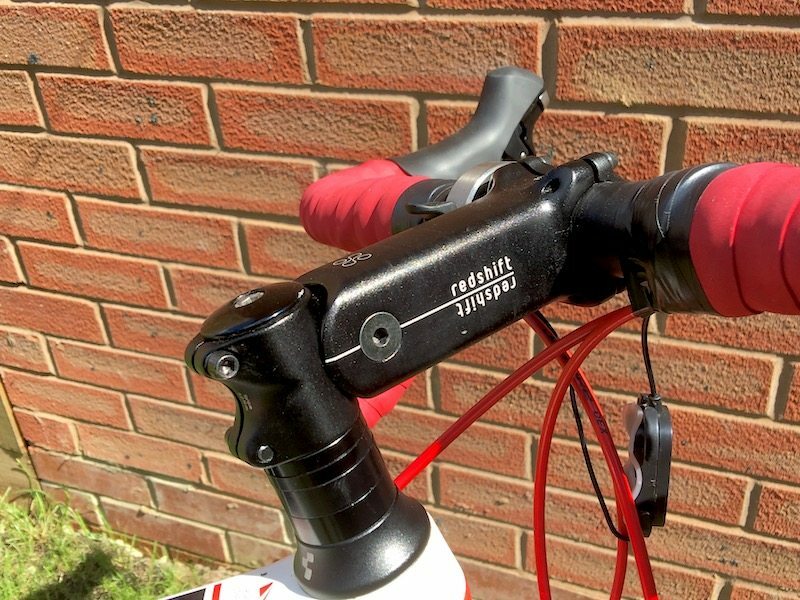 As some of you might have noticed, that the ShockStop is mounted there on a Cube carbon fibre bike, I thought this would be the best way to test out the ShockStop, as it is normally a bit of a bone shaker, which is my it isn’t my main bike. So thought I’d test the Shockstop, not so much on the road, where it is impressive, but by taking it off the road on a bike that really isn’t supposed to go off road! 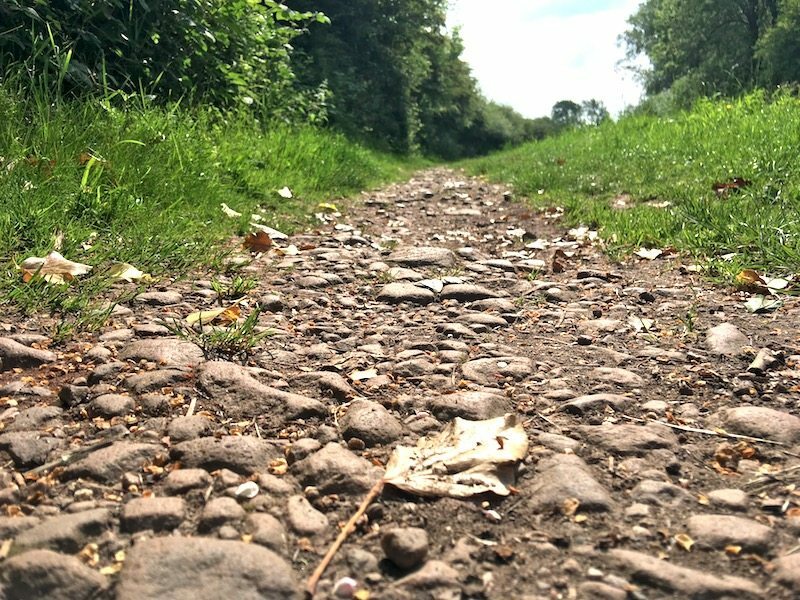 Before finally pushing to the limit on the bridleway over the sun-baked crops, all of which the ShockStop handled with aplomb. Ok to be fair the last bridleway was quite jarring, but again, I’m doing it on a carbon fibre “race geometry” bike! 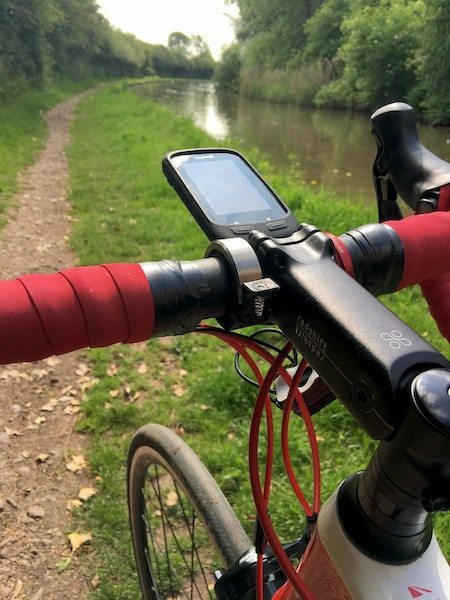 Over the whole of the rough terrain, I felt that I had more control, and was generally more stable than when I’ve previously gone through the gravel on the building site that is often also referred to as the hospital grounds. One way of describing the ride overall, especially on the road, is as if you have deflated your tyre slightly. It’s just a more cushioned feeling when pedalling, but without that change in control, you’d get with lower psi. How is Braking Affected by the ShockStop? 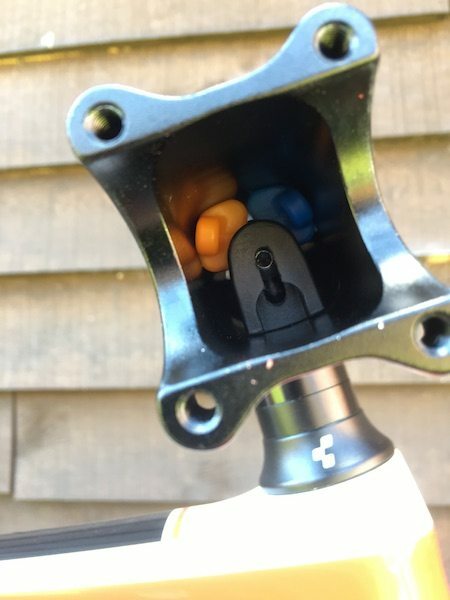 Several people have asked over the past few months while I’ve been using the ShockStop what happens during braking? Does the whole handle bar dive as in the above gif? 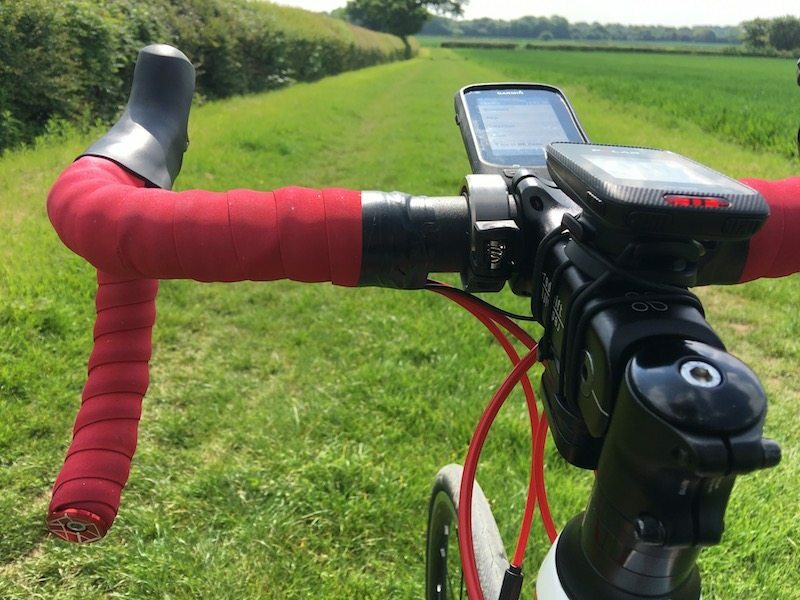 Well if you have it set very closely yes, but in reality, the travel is so small and involved in the progressive nature of your movement on the bike, I’ve noticed no issues at all. Thanks so much for your interest. I totally understand your concern with hard braking and will try to give you a sense of how it will behave. 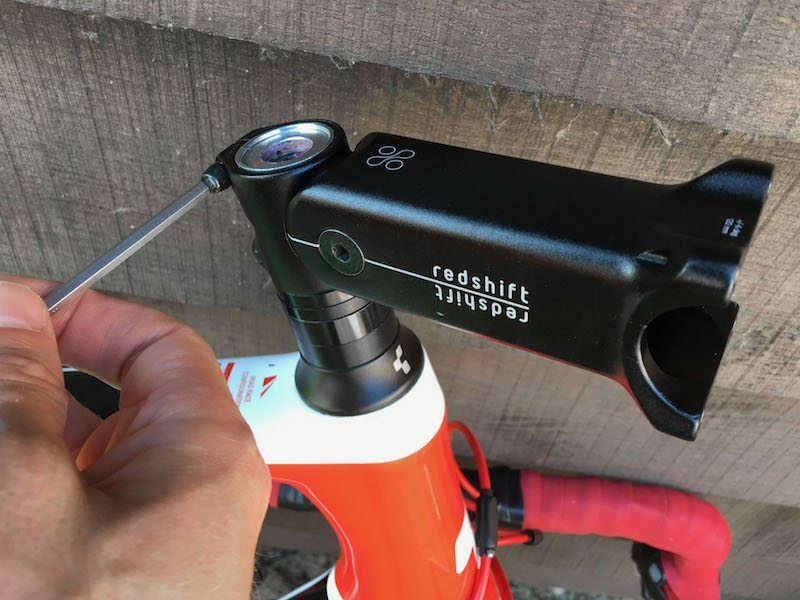 Bottom line, the ShockStop has travel, but it is very limited, so you will not ever feel like your geometry or body position is changing (even if you set it up for max motion). 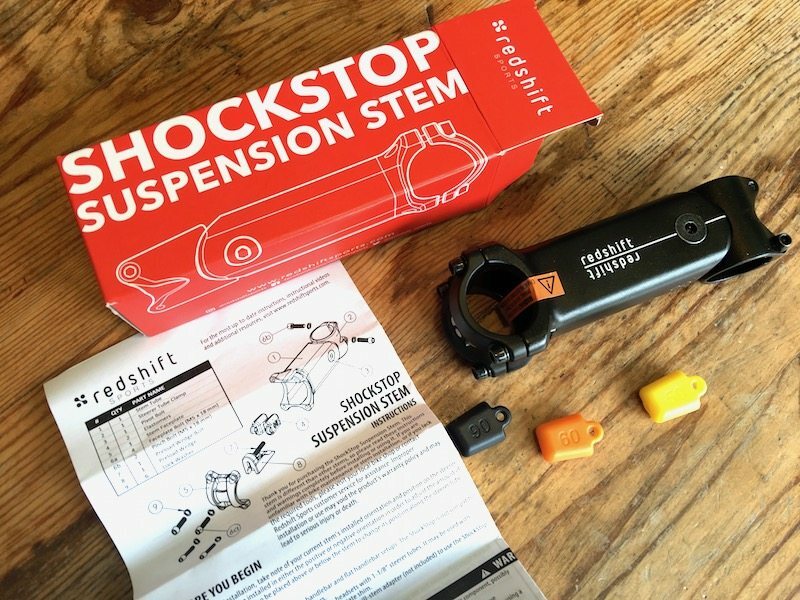 How does the ShockStop affect steering? I think this is one area that people will naturally be most concerned about. On the roads around Nuneaton, I’ve not noticed any issues as I crash over the potholes. When testing things a little further, going out the canal and generally off the road, steering is completely normal. I was expecting things to feel slightly ‘mushy’ for want of a better phrase, but when the elastomers are installed correctly and tightened correctly, the steering is rock solid, with the ShockStop merely filtering out buzz and bumps. Honestly, flat out 5/5, I think this is a GREAT bit of kit. 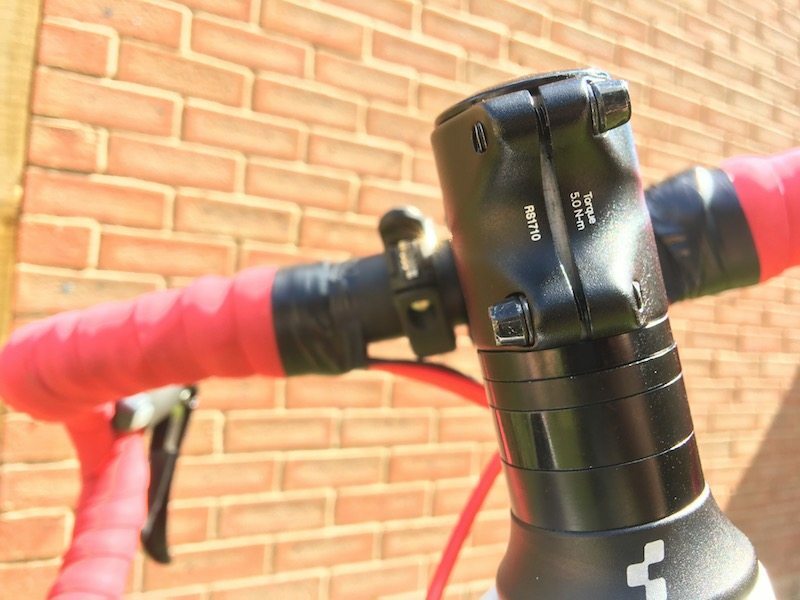 If you are not bothered about having the lightest bike out there, then the ShockStop is terrific. 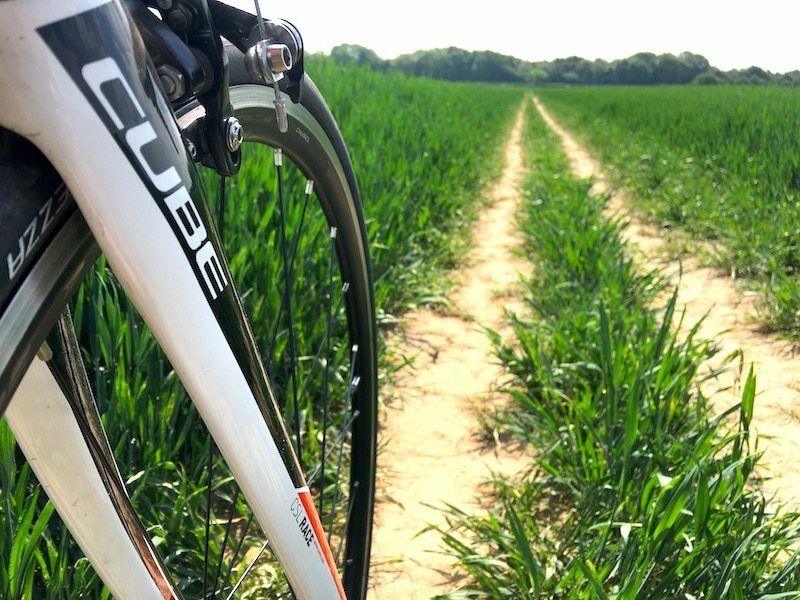 Commuter, Sportives, Weekend Road Warrior everyone will likely benefit. 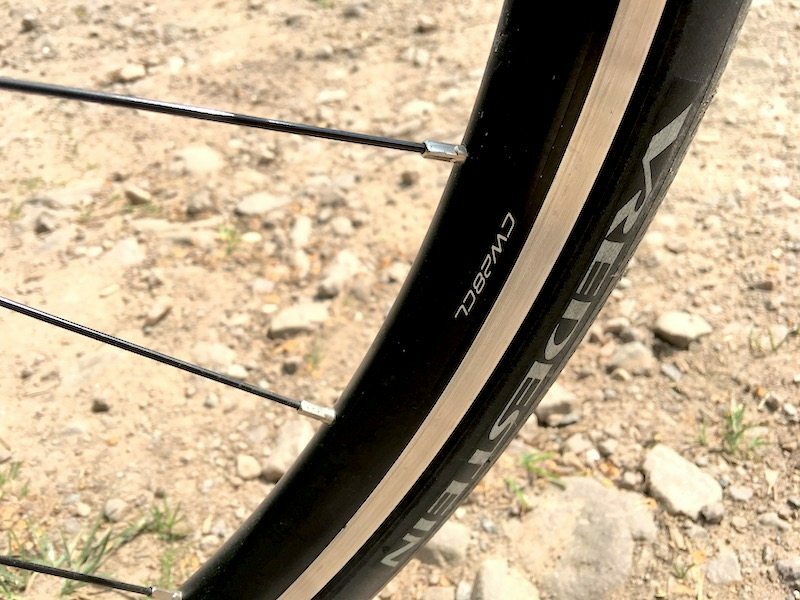 Heck, you’d probably get a benefit racing in the Pairs-Roubaix with a ShockStop. 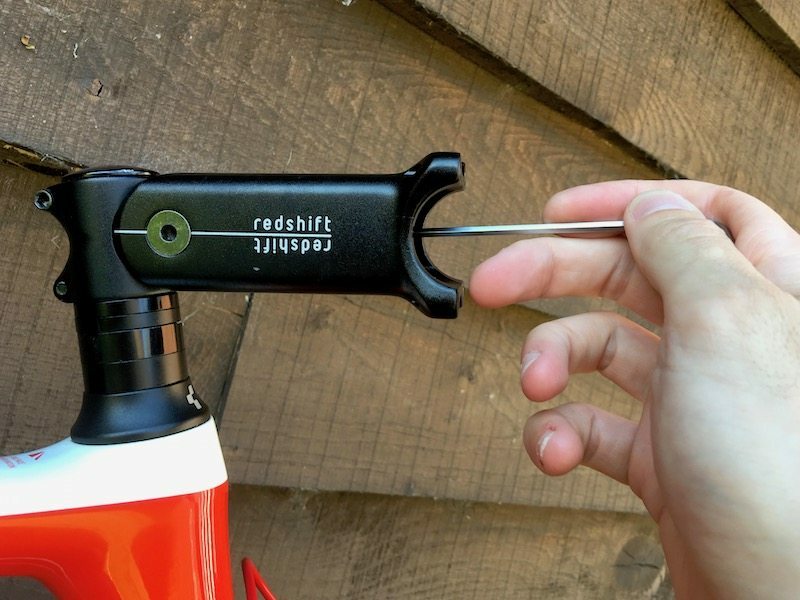 Basically if you’ve ever thought that you had a little too much road buzz on your bike, or wanted a more comfortable ride, the RedShift ShockStop is for you. I dont think I’ve ever been quite so confident in giving out a TG 5* score before!